· Investment bankers involved with mergers and acquisitions (M&A). · Equity analysts at hedge funds, risk arbitrage funds, pension funds, and banks, who invest in firms engaged in M&A. · Private equity professionals at buyout funds, venture capital funds, and hedge funds, who routinely buy and sell companies. · Corporate executives and business development professionals. · Institutional loan officers working with M&A and buyout transactions. · Business students at colleges and graduate business schools. · Investor relations professionals at corporations and public relations firms. · Lawyers who work with corporate clients on M&A-related legal, financial, and tax matters. · Independent public accounting firms that review M&A accounting. The mergers and acquisitions environment has changed in the thirteen years since M&A was initially published, creating a tremendous need for authoritative M&A guidance from a banker’s perspective. This M&A update fills that need by providing the characteristic expert guidance in clear, concise language, complete with the most up-to-date information. In the past decade, the dollar value of M&A deals has jumped ten-fold, and the number of individuals involved has expanded considerably. More and more executives, analysts, and bankers need to get up-to-date on the mechanics of M&A, without wading through volume after volume of dense, legalistic jargon. 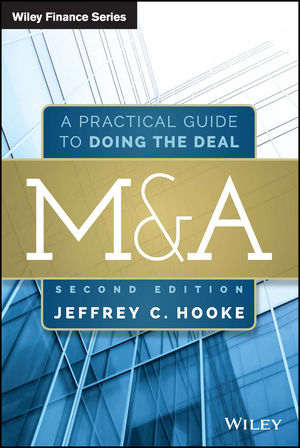 Finally, M&A is back – providing a complete reference to the current state of the M&A environment.